The transnational seminar held in December 2015 focused on Cross-disciplinary art, art in the public sphere, awareness of the artist’s role and his_her responsibility in today’s society. The three transnational Capacity Building Workshops within the project Routes to Employment (R2E) are aimed at exchanging training methods between staff and both junior and senior coaches of all project partners. 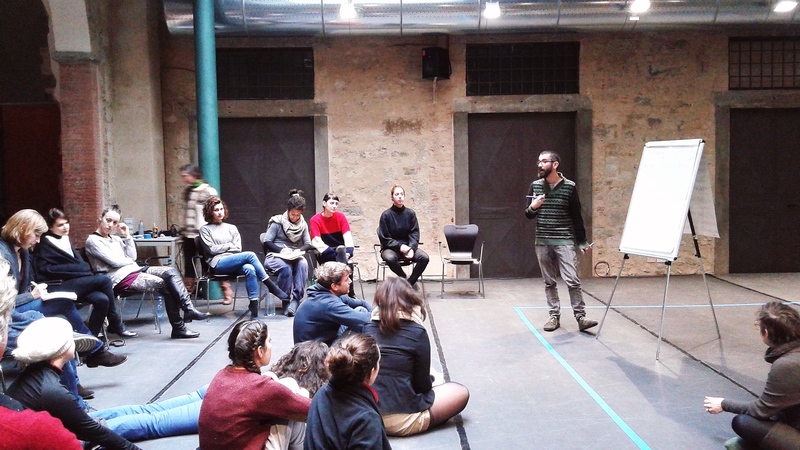 The Italian step, according to the specific approach of Centro di Creazione e Cultura’s staff and coaches in between cross-disciplinary contemporary arts practice, education and social sciences, focused mainly on “Cross-disciplinary art – public sphere – awareness of the artist’s role and responsibility in today’s society – networking and facilitation”.